Labyrinth is a puzzle game inspired by the concept of Metamedium and Recursion. 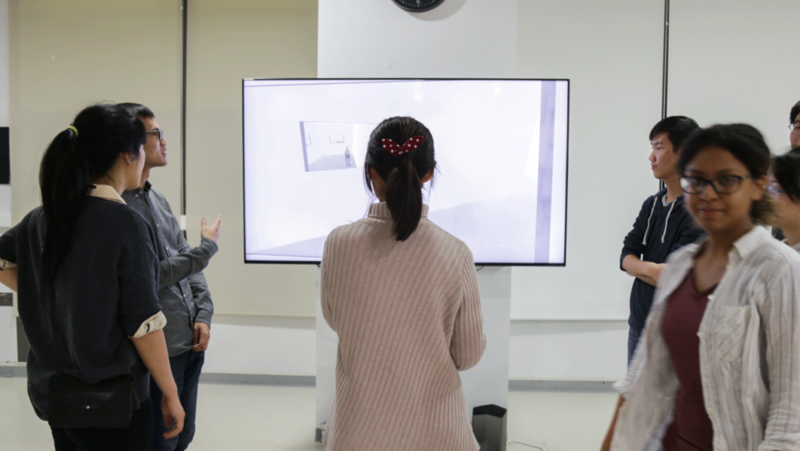 The game takes the form of a maze constructed of recursive 3D space between which the player travels via TV screens. 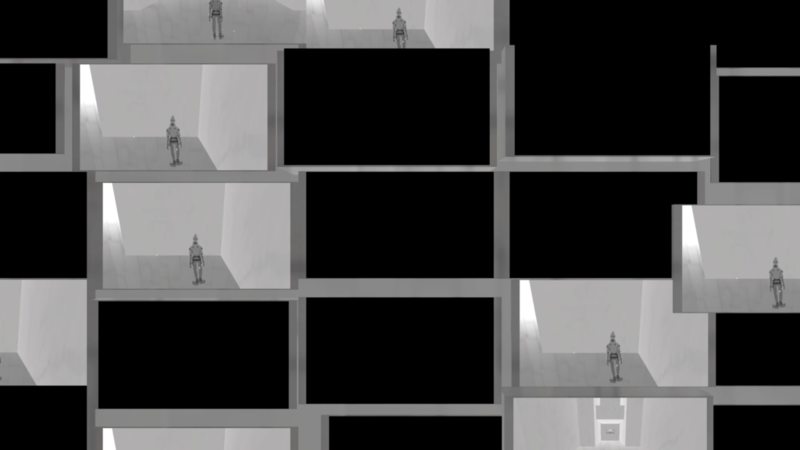 With the simple gray-scale based aesthetics and mind-blowing recursive camera views utilized to enhance the mechanics and difficulties of the game, Labyrinth creates layers among reality and virtual spaces throughout the experience. Different from the traditional design of a maze in which consecutive space are physically together and there's one way that connects the starting point and the end, in Labyrinth different parts of the maze are located separately from each other and are interconnected through the mechanics. Such mechanics create a loop among all parts of the maze. 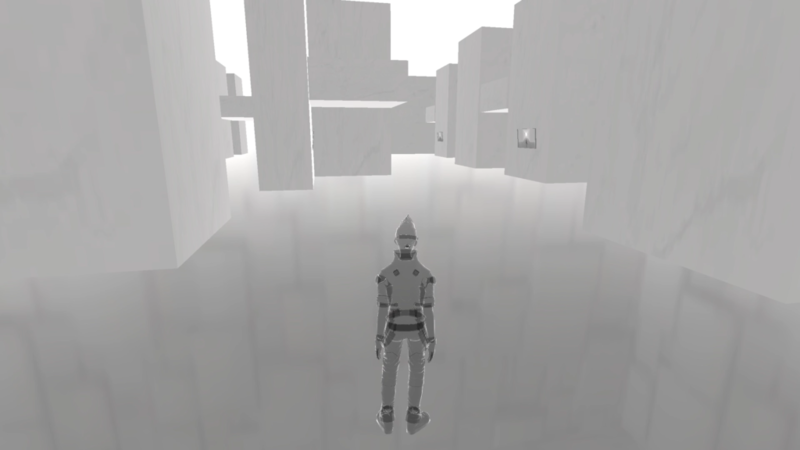 Instead of finding the one and only path to escape, the solution to the maze is revealed by how players navigate through and explore the game space. Metamedium entails the idea of representing one media--usually an older form--with another newer form of media. That is to say, instead of being a direct representation of contents, a media can be representing the representation of contents (i.e. the representation of representation). Taking from that idea, I designed the TV screen transition as both a mechanic for players to navigate through game space as well as a mean to create different layers of "realities" within the game world. "Am I staring at my character? Or am I staring at a screen that my character is staring at on which there's another character?" As player are driven to have such questions as they explore the game world, the ending of the game is designed to take them further into thinking about the content of the game and the real world where players experience the game from.